We tend to think that our emotions and good feelings come from the events outside of us. For example, if someone behaves in a way we approve of we are happy, if someone behaves in a way we do not approve this makes us feel bad. We tend to avoid pain and we look for pleasure. 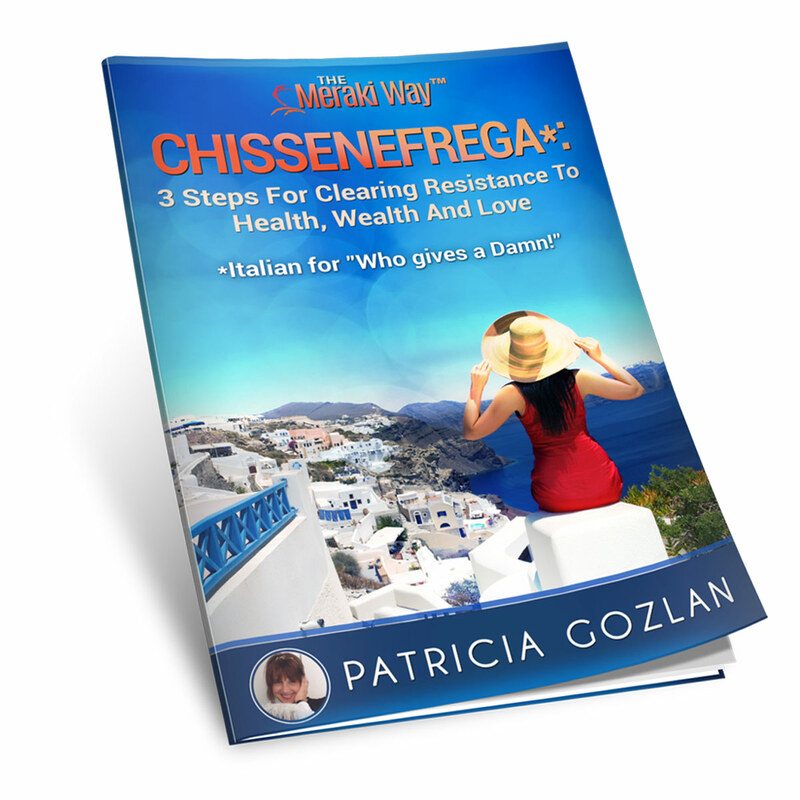 When you go through e 3 steps of the Chissenefrega Ebook you realize in step 3, that it is NOT the outside world that conditions our emotions. We could have 100 people witnessing one single event and we would have 100 different opinions/perceptions about this same event. The way you feel about something is conditioned by your unconscious programming. You are not your feelings. You can easily control your emotions and stay in the flow in 3 easy steps. You are not identified to the events on the outside world when you step back and back again. When you are present to who you really are you allow life to move through you, by just observing and not judging what is happening, just like when you go to the movies. You understand the story, you might t empathize with the actors but there is something solid inside of you that knows you are not the actor. This position that we call meta-position allows you to feel what you feel without “buying the goods” that do not serve you. Let the feelings come and go and by being present to them you are less likely to suffer needlessly. The story you see outside (step 1 of the ebook) will have no effect on you when you scramble the meaning that you gave to it initially and when you take a meta position looking at the story from far. The problem arises when you believe in the story you are telling yourself and when you identify with it. The feelings are very important because they allow you to understand how near you are to what you want. The feelings are like a thermometer, the better the feelings the more aligned you are to your essence. When you “do” a negative feeling this means you are off track and there is an opportunity to go back to feeling well choosing one better feeling thought one step at the time. Download your free ebook here.